"Panchal’s was a classy knock." 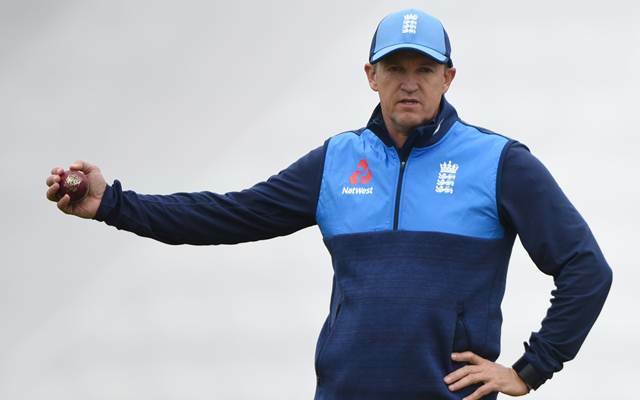 England Lions head coach heaped praise on India A batsmen Priyank Panchal and KS Bharat after the first unofficial Test between the two sides ended in a draw on Sunday. Panchal (206) scored a stunning double century while Bharat slammed 142 off 139 to help India A take control of the proceedings in Wayanad. India ‘A’ declared their innings at 540 for 6 in reply to England Lions’ 340 to gain a massive 200-run lead. Panchal’s displayed remarkable patience to make sure India A remains on course for a big score. His marathon knock came off 313 balls and was studded with 26 fours and 3 sixes. Bharat, on the other hand, took the England Lions bowlers to the cleaners, hitting 11 fours and as many as eight sixes to help India A finish strongly. The other notable contributor in the innings was KL Rahul who finally roared back to form. The India A skipper, who had looked out of sorts in recent times, gave the team a good start by scoring 89. He shared a 174-run stand with Panchal for the second wicket which pretty much gave the home side the control in the game. After the end of the game, Andy Flower, the Lions’ head coach, was all praise for Panchal and Bharat’s contrasting knocks. England Lions finally had something to laugh about after the heavy thrashing in the one-day series. India A had won the five-match series 4-1 but the visitors came up with a good performance to draw the first unofficial Test. A delighted Flower pointed out the impressive performers from his side, praising them for their displays. “There have been two good knocks from Sam Hain, who played calmly and was comfortable against the spinners,” Flower remarked. “Ollie Pope got runs too; there were some good efforts with the ball as well. Lewis Gregory and Jamie Porter were solid, while Zak Chappell was pretty sharp and has got better and better for the last month we have been in India,” he added.